Stay up to date on Store Promotions and Events. 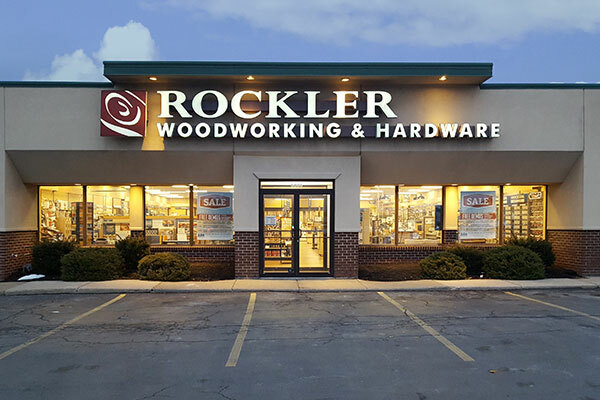 Fill out the form below to receive exclusive details from the Rockler Buffalo store. We offer instruction, in Wood Turning, Band Saw, and Routers. Call store for times and details 716-631-8922. When planning a woodworking project, design your piece around existing, available hardware. There is nothing more frustrating than building a great project and finding that there isn't any hardware to fit your design! So check our catalog, or stop at our store for the best hardware available. Rockler Buffalo is proudly hosting the CNC Users Group! The club consists of CNC owners, users and prospective buyers. Every meeting consists of a ‘Show-n-Tell’ portion, demonstration and then a group discussion. We’d be happy to have you join us and we’ll be looking forward to seeing you at the store! Don’t miss out on this one of kind experience.